Welcome to our brand new Drafting Desk Blog! We're so excited to share more encouragement with you here in this space. This month, we are revisiting our "origin stories," so to speak. Read on to hear from one half of our team, Rebekah, and read Lindsey’s here. 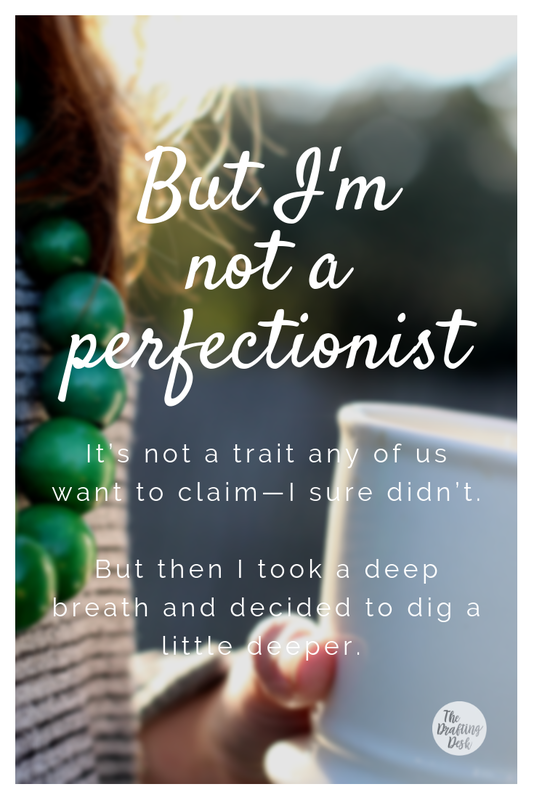 When Lindsey first emailed me and floated the idea of a creating a monthly newsletter for fellow perfectionists, my first thought was, I love this idea… but what could I possibly have to contribute? I’m not a perfectionist! It’s not a trait I think any of us want to claim—I sure didn’t. But then I took a deep breath and decided to dig a little deeper. I thought about how I have historically made my parents, sisters, roommates, and eventually my husband and children (whoever has had the pleasure of living with me) late because I had to change my outfit one more time. How in college, I rerouted my career path because a couple of professors gave me Bs. How I’ve spent nights lying awake, reliving conversations from earlier in the day, panicked that I said the wrong thing or might have been misunderstood. How I still get so stuck on the fact that I am not the best that my first inclination is to give up on the very thing God has called me to do. The more I thought about my life, my fears, and my habits, the more I saw God’s hand in Lindsey asking me to join her in this project. He knew I needed to experience the freedom that comes with learning to let go of my own impossible expectations—the freedom that can only be found by releasing it all to Christ. I’m not here to preach to you. I’m here to preach to myself. Perhaps you, like me, wouldn’t call yourself a perfectionist. (Not to your face, anyway.) That’s okay! I still think we belong here together, and I hope you'll stick around. I want to let go of the past—really let go of it. I want to laugh and soak up God’s grace instead of breaking down when nothing goes according to my plans. I want to be brave enough to trust that God will equip me for whatever task he sets before me. It doesn’t matter one bit that I am not the best. Want to join us on this journey? Sign up here to have new content delivered straight to your inbox once a month.